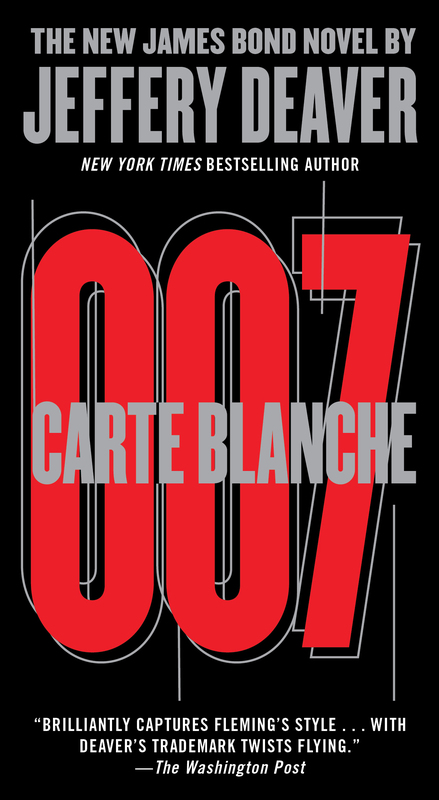 Jeffery Deaver talks about the audiobook, CARTE BLANCHE James Bond is Back in CARTE BLANCHE! James Bond as you've never sen him before...in the smashing new thriller and #1 international bestseller from Jeffrey Deaver. Casualties estimated in the thousands, British interests adversely affected. James Bond, in his early thirties and already a veteran of the Afghan War, has been recruited to a new organization. Conceived in the post-9/11 world, it operates independent of MI5, MI6, and the Ministry of Defense, its very existence deniable. Its aim: to protect the Realm, by any means necessary. His hand on the dead-man throttle, the driver of the Serbian Rail diesel felt the thrill he always did on this particular stretch of railway, heading north from Belgrade and approaching Novi Sad. This was the route of the famed Arlberg Orient Express, which ran from Greece through Belgrade and points north from the 1930s until the 1960s. Of course, he was not piloting a glistening Pacific 231 steam locomotive towing elegant mahogany-and-brass dining cars, suites and sleepers, where passengers floated upon vapors of luxury and anticipation. He commanded a battered old thing from America that tugged behind it a string of more or less dependable rolling stock packed snugly with mundane cargo. But still he felt the thrill of history in every vista that the journey offered, especially as they approached the river, his river. And yet he was ill at ease. Among the wagons bound for Budapest, containing coal, scrap metal, consumer products and timber, there was one that worried him greatly. It was loaded with drums of MIC — methyl isocyanate — to be used in Hungary in the manufacture of rubber. The driver — a round, balding man in a well-worn cap and stained overalls — had been briefed at length about this deadly chemical by his supervisor and some idiot from the Serbian Safety and Well-being Transportation Oversight Ministry. Some years ago this substance had killed eight thousand people in Bhopal, India, within a few days of leaking from a manufacturing plant there. He'd acknowledged the danger his cargo presented but, a veteran railway man and union member, he'd asked, "What does that mean for the journey to Budapest . . . specifically?" The boss and the bureaucrat had regarded each other with the eyes of officialdom and, after a pause, settled for "Just be very careful." The lights of Novi Sad, Serbia's second-largest city, began to coalesce in the distance, and ahead in the encroaching evening the Danube appeared as a pale stripe. In history and in music the river was celebrated. In reality it was brown, undramatic and home to barges and tankers, not candlelit vessels filled with lovers and Viennese orchestras — or not here, at least. Still, it was the Danube, an icon of Balkan pride, and the railway man's chest always swelled as he took his train over the bridge. His river . . . He peered through the speckled windscreen and inspected the track before him in the headlight of the General Electric diesel. Nothing to be concerned about. There were eight notch positions on the throttle, number one being the lowest. He was presently at five and he eased back to three to slow the train as it entered a series of turns. The 4,000-horsepower engine grew softer as it cut back the voltage to the traction motors. As the cars entered the straight section to the bridge the driver shifted up to notch five again and then six. The engine pulsed louder and faster and there came a series of sharp clangs from behind. The sound was, the driver knew, simply the couplings between wagons protesting at the change in speed, a minor cacophony he'd heard a thousand times in his job. But his imagination told him the noise was the metal containers of the deadly chemical in car number three, jostling against one another, at risk of spewing forth their poison. Nonsense, he told himself and concentrated on keeping the speed steady. Then, for no reason at all, except that it made him feel better, he tugged at the air horn. Lying at the top of a hill, surrounded by obscuring grass, a man of serious face and hunter's demeanor heard the wail of a horn in the distance, miles away. A glance told him that the sound had come from the train approaching from the south. It would arrive here in ten or fifteen minutes. He wondered how it might affect the precarious operation that was about to unfurl. Shifting position slightly, he studied the diesel locomotive and the lengthy string of wagons behind it through his night-vision monocular. Judging that the train was of no consequence to himself and his plans, James Bond turned the scope back to the restaurant of the spa and hotel and once again regarded his target through the window. The weathered building was large, yellow stucco with brown trim. Apparently it was a favorite with the locals, from the number of Zastava and Fiat saloons in the car park. It was eight forty and the Sunday evening was clear here, near Novi Sad, where the Pannonian Plain rose to a landscape that the Serbs called "mountainous," though Bond guessed the adjective must have been chosen to attract tourists; the rises were mere hills to him, an avid skier. The May air was dry and cool, the surroundings as quiet as an undertaker's chapel of rest. Bond shifted position again. In his thirties, he was six feet tall and weighed 170 pounds. His black hair was parted on one side and a comma of loose strands fell over one eye. A three-inch scar ran down his right cheek. This evening he'd taken some care with his outfit. He was wearing a dark green jacket and rainproof trousers from the American company 5.11, which made the best tactical clothing on the market. On his feet were well-worn leather boots that had been made for pursuit and sure footing in a fight. As night descended, the lights to the north glowed more intensely: the old city of Novi Sad. As lively and charming as it was now, Bond knew the place had a dark past. After the Hungarians had slaughtered thousands of its citizens in January 1942 and flung the bodies into the icy Danube, Novi Sad had become a crucible for partisan resistance. Bond was here tonight to prevent another horror, different in nature but of equal or worse magnitude. Yesterday, Saturday, an alert had rippled through the British intelligence community. GCHQ, in Cheltenham, had decrypted an electronic whisper about an attack later in the week. meeting at noah's office, confirm incident friday night, 20th, estimated initial casualties in the thousands, british interests adversely affected, funds transfers as discussed. Not long after, the government eavesdroppers had also cracked part of a second text message, sent from the same phone, same encryption algorithm, but to a different number. meet me sunday at restaurant rostilj outside novi sad, 20:00. i am 6+ feet tall, irish accent. Then the Irishman — who'd courteously, if inadvertently, supplied his own nickname — had destroyed the phone or flicked out the batteries, as had his co-conspirator Noah and the other text recipient. In London the Joint Intelligence Committee and members of COBRA, the crisis management body, met into the night to assess the risk of Incident 20, so called because of Friday's date. There was no solid information on the origin or nature of the threat but MI6 was of the opinion that it was coming out of the tribal regions in Afghanistan, where al-Qaeda and its affiliates had taken to hiring Western operatives in European countries. Six's agents in Kabul began a major effort to learn more. The Serbian connection had to be pursued, too. And so at ten o'clock last night the rangy tentacles of these events had reached out and clutched Bond, who'd been sitting in an exclusive restaurant off Charing Cross Road with a beautiful woman, whose lengthy description of her life as an underappreciated painter had grown tiresome. The message on Bond's mobile had read, NIACT, Call COS. The Night Action alert meant an immediate response was required, at whatever time it was received. The call to his chief of staff had blessedly cut the date short and soon he had been en route to Serbia, under a Level 2 project order, authorizing him to identify the Irishman, plant trackers and other surveillance devices and follow him. If that proved impossible, the order authorized Bond to conduct an extraordinary rendition of the Irishman and spirit him back to England or to a black site on the Continent for interrogation. So now Bond lay among white narcissi, taking care to avoid the leaves of that beautiful but poisonous spring flower. He concentrated on peering through the Restoran Roštilj's front window, on the other side of which the Irishman was sitting over an almost untouched plate and talking to his partner, as yet unidentified but Slavic in appearance. Perhaps because he was nervous, the local contact had parked elsewhere and walked here, providing no number-plate to scan. The Irishman had not been so timid. His low-end Mercedes had arrived forty minutes ago. Its plate had revealed that the vehicle had been hired today for cash under a false name, with a fake British driving license and passport. The man was about Bond's age, perhaps a bit older, six foot two and lean. He'd walked into the restaurant in an ungainly way, his feet turned out. An odd line of blond fringe dipped over a high forehead and his cheekbones angled down to a square-cut chin. Bond was satisfied that this man was the target. Two hours ago he had gone into the restaurant for a cup of coffee and stuck a listening device inside the front door. A man had arrived at the appointed time and spoken to the headwaiter in English — slowly and loudly, as foreigners often do when talking to locals. To Bond, listening through an app on his phone from thirty yards away, the accent was clearly mid-Ulster — most likely Belfast or the surrounding area. Unfortunately the meeting between the Irishman and his local contact was taking place out of the bug's range. Through the tunnel of his monocular, Bond now studied his adversary, taking note of every detail — "Small clues save you. Small errors kill," as the instructors at Fort Monckton were wont to remind. He noted that the Irishman's manner was precise and that he made no unnecessary gestures. When the partner drew a diagram the Irishman moved it closer with the rubber of a propelling pencil so that he left no fingerprints. He sat with his back to the window and in front of his partner; the surveillance apps on Bond's mobile could not read either set of lips. Once, the Irishman turned quickly, looking outside, as if triggered by a sixth sense. The pale eyes were devoid of expression. After some time he turned back to the food that apparently didn't interest him. ROŠTILJ LOCATED IN A DECLARED THERAPEUTIC REGION, AND IS RECOMMENDED BY ALL FOR CONVALESCENCES AFTER SURGERIES, ESPECIALLY HELPING FOR ACUTE AND CHRONIC DISEASES OF RESPIRATION ORGANS, AND ANEMIA. FULL BAR. He returned to the staging area, behind a decrepit garden shed that smelled of engine oil, petrol and piss, near the driveway to the restaurant. His two "comrades," as he thought of them, were waiting here. James Bond preferred to operate alone but the plan he'd devised required two local agents. They were with the BIA, the Serbian Security Information Agency, as benign a name for a spy outfit as one could imagine. The men, however, were under cover in the uniform of local police from Novi Sad, sporting the golden badge of the Ministry of Internal Affairs. Faces squat, heads round, perpetually unsmiling, they wore their hair close-cropped beneath navy blue brimmed caps. Their woolen uniforms were the same shade. One was around forty, the other twenty-five. Despite their cover roles as rural officers, they'd come girded for battle. They carried heavy Beretta pistols and swaths of ammunition. In the backseat of their borrowed police car, a Volkswagen Jetta, there were two green-camouflaged Kalashnikov machine guns, an Uzi and a canvas bag of fragmentation hand grenades — serious ones, Swiss HG 85s. Bond turned to the older agent but before he spoke he heard a fierce slapping from behind. His hand moving to his Walther PPS, he whirled round — to see the younger Serb ramming a pack of cigarettes into his palm, a ritual that Bond, a former smoker, had always found absurdly self-conscious and unnecessary. What was the man thinking? "Quiet," he whispered coldly. "And put those away. No smoking." Perplexity sidled into the dark eyes. "My brother, he smokes all time he is out on operations. Looks more normal than not smoking in Serbia." On the drive here the young man had prattled on and on about his brother, a senior agent with the infamous JSO, technically a unit of the state secret service, though Bond knew it was really a black-ops paramilitary group. The young agent had let slip — probably intentionally, for he had said it with pride — that big brother had fought with Arkan's Tigers, a ruthless gang that had committed some of the worst atrocities in the fighting in Croatia, Bosnia and Kosovo. "Maybe on the streets of Belgrade a cigarette won't be noticed," Bond muttered, "but this is a tactical operation. Put them away." The agent slowly complied. He seemed about to say something to his partner, then thought better of it, perhaps recalling that Bond had a working knowledge of Serbo-Croatian. Bond looked again into the restaurant and saw that the Irishman was laying some dinars on the metal tray — no traceable credit card, of course. The partner was pulling on a jacket. "All right. It's time." Bond reiterated the plan. In the police car they would follow the Irishman's Mercedes out of the drive and along the road until he was a mile or so from the restaurant. The Serbian agents would then pull the car over, telling him it matched a vehicle used in a drug crime in Novi Sad. The Irishman would be asked politely to get out and would be handcuffed. His mobile phone, wallet and identity papers would be placed on the boot of the Mercedes and he'd be led aside and made to sit facing away from the car. Meanwhile Bond would slip out of the backseat, photograph the documents, download what he could from the phone, look through laptops and luggage, then plant tracking devices. By then the Irishman would have caught on that this was a shake-down and offered a suitable bribe. He'd be freed to go on his way. If the local partner left the restaurant with him, they'd execute essentially the same plan with both men. "Now, I'm ninety percent sure he'll believe you," Bond said. "But if not, and he engages, remember that under no circumstances is he to be killed. I need him alive. Aim to wound in the arm he favors, near the elbow, not the shoulder." Despite what one saw in the movies, a shoulder wound was usually as fatal as one to the abdomen or chest. The Irishman now stepped outside, feet splayed. He looked around, pausing to study the area. Was anything different? he'd be thinking. New cars had arrived since they'd entered; was there anything significant about them? He apparently decided there was no threat and both men climbed into the Mercedes. "It's the pair of them," Bond said. "Same plan." The Irishman started the engine. The lights flashed on. Bond oriented his hand on his Walther, snug in the D. M. Bullard leather pancake holster, and climbed into the backseat of the police car, noticing an empty tin on the floor. One of his comrades had enjoyed a Jelen Pivo, a Deer Beer, while Bond had been conducting surveillance. The insubordination bothered him less than the carelessness. The Irishman might grow suspicious when stopped by a cop with beer on his breath. Another man's ego and greed can be helpful, Bond believed, but incompetence is simply a useless and inexcusable danger. The Serbs got into the front. The engine hummed to life. Bond tapped the earpiece of his SRAC, the short-range agent communication device used for cloaked radio transmissions on tactical operations. "Channel two," he reminded them. "Da, da." The older man sounded bored. They both plugged in earpieces. And James Bond asked himself yet again: Had he planned this properly? Despite the speed with which the operation had been put together, he'd spent hours formulating the tactics. He believed he'd anticipated every possible variation. The Irishman did not do what he absolutely had to. The Mercedes turned away from the drive and rolled out of the car park on to the lawn beside the restaurant, on the other side of a tall hedge, unseen by the staff and diners. It was heading for a weed-riddled field to the east. The younger agent snapped, "Govno! What he is doing?" The three men stepped out to get a better view. The older one drew his gun and started after the car. Bond waved him to a halt. "No! Wait." "He's escaping. He knows about us!" "No — it's something else." The Irishman wasn't driving as if he were being pursued. He was moving slowly, the Mercedes easing forward, like a boat in a gentle morning swell. Besides, there was no place to escape to. He was hemmed in by cliffs overlooking the Danube, the railway embankment and the forest on the Fruška Gora rise. Bond watched as the Mercedes arrived at the rail track, a hundred yards from where they stood. It slowed, made a U-turn and parked, the bonnet facing back toward the restaurant. It was close to a railway work shed and switch rails, where a second track peeled off from the main line. Both men climbed out and the Irishman collected something from the boot. Your enemy's purpose will dictate your response — Bond silently recited another maxim from the lectures at Fort Monckton's Specialist Training Center in Gosport. You must find the adversary's intention. But what was his purpose? Bond pulled out the monocular again, clicked on the night vision and focused. The partner opened a panel mounted on a signal beside the switch rails and began fiddling with the components inside. Bond saw that the second track, leading off to the right, was a rusting, disused spur, ending in a barrier at the top of a hill. So it was sabotage. They were going to derail the train by shunting it on to the spur. The cars would tumble down the hill into a stream that flowed into the Danube. Bond turned the monocular toward the diesel engine and the wagons behind it and saw the answer. The first two cars contained only scrap metal but behind them, a canvas-covered flatbed was marked OPASNOST-DANGER! He saw, too, a hazardous-materials diamond, the universal warning sign that told emergency rescuers the risks of a particular shipment. Alarmingly, this diamond had high numbers for all three categories: health, instability and inflammability. The W at the bottom meant that the substance would react dangerously with water. Whatever was being carried in that car was in the deadliest category, short of nuclear materials. The train was now three-quarters of a mile away from the switch rails, picking up speed to make the gradient to the bridge. Your enemy's purpose will dictate your response. . . . He didn't know how the sabotage related to Incident 20, if at all, but their immediate goal was clear — as was the response Bond now instinctively formulated. He said to the comrades, "If they try to leave, block them at the drive and take them. No lethal force." He leaped into the driver's seat of the Jetta. He pointed the car toward the fields where he'd been conducting surveillance and jammed down the accelerator as he released the clutch. The light car shot forward, engine and gearbox crying out at the rough treatment, as it crashed over brush, saplings, narcissus and the raspberry bushes that grew everywhere in Serbia. Dogs fled and lights in the tiny cottages nearby flicked on. Residents in their gardens waved their arms angrily in protest. Bond ignored them and concentrated on maintaining his speed as he drove toward his destination, guided only by scant illumination: a partial moon above and the doomed train's headlight, far brighter and rounder than the lamp of heaven. Jeffery Deaver's Carte Blanche will be released in the USA on June 14. 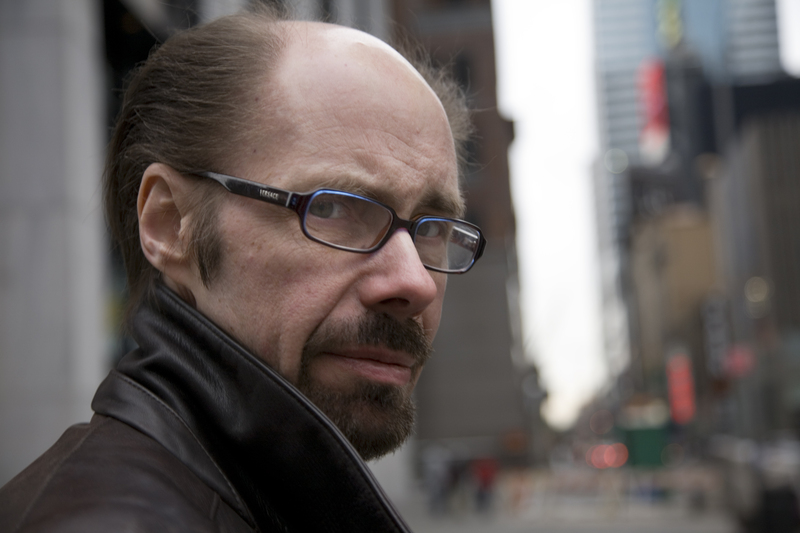 Jeffery Deaver is the international, #1 bestselling author of more than twenty-seven suspense novels, including The Bone Collector, which was made into a film starring Denzel Washington. He lives in North Carolina.